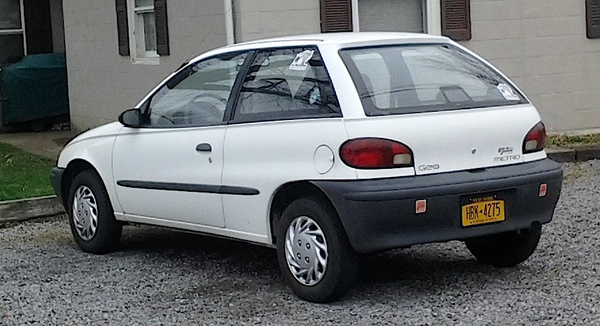 I’m amazed at how many 1996 Geo Metros these days seem to be sporting K-Mart wheel covers (if they have any at all). I’m doubly amazed at how many Geo Metros I still see on the road period, as they’re not exactly collector cars, and were often regarded as throw-aways back in the day. We had a ’96 which we bough new, but it was the much more upscale LSi model with body-colored bumpers and a four-cylinder engine (a three-pot was standard fare on non-LSi models). Saw this one a few weeks back in Clarence. Jim Corbran, RRofWNY …and check out our Facebook page: Non-American Classic Cars The post RealRides of WNY appeared first on Buffalo Cars.